From the Art Deco Revival collection by Scott Living. 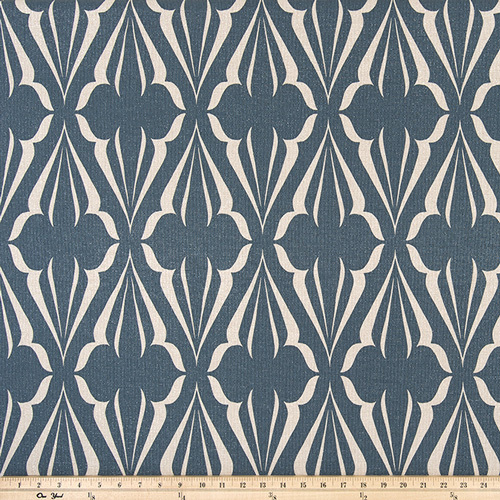 Biscay Sapphire Loni home decorating fabric. Suitable for drapery, decorative pillow covers, crafting, headboards or light upholstery. Made in the USA. Colors include white and blue with strands of metallic silver threads.